Party girl Princess has been forced to mature a lot, since her HIV positive diagnosis in season three and finding out she was pregnant in season four, she is now living a healthy life with her beautiful little son Kay who is HIV negative. Since her sister Sophie’s departure from the country she is struggling to fend for herself without a job. We see her getting industrious and developing a business idea that leads her to cross paths with an old flame – any guesses on who this might be? 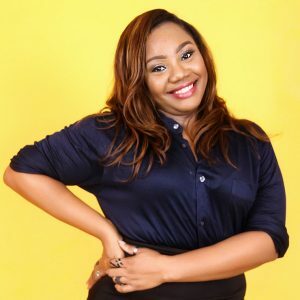 Despite being just 24-years of age, Sharon Ezeamaka has been on television for nearly 2 decades. She started acting at the age of 5 and in 2013 she joined the MTV Shuga family in 2013 when her character, Princess made her debut. Sharon has also acted on TV shows such as ‘Dear Mother’ and M-Net’s ‘The Johnsons’. Sharon will be returning to MTV Shuga Season 6 as Princess.